The MINI HDMI to SDI Converter allows HDMI signals to be shown on SDI display while ensuring high bit rates of 2.970 Gbit/s to give you high resolution signal without any loss. For professionals this means that it is now easier to convert your high def HDMI signal with audio to SDI for long distance transmission and display your work on SDI display. 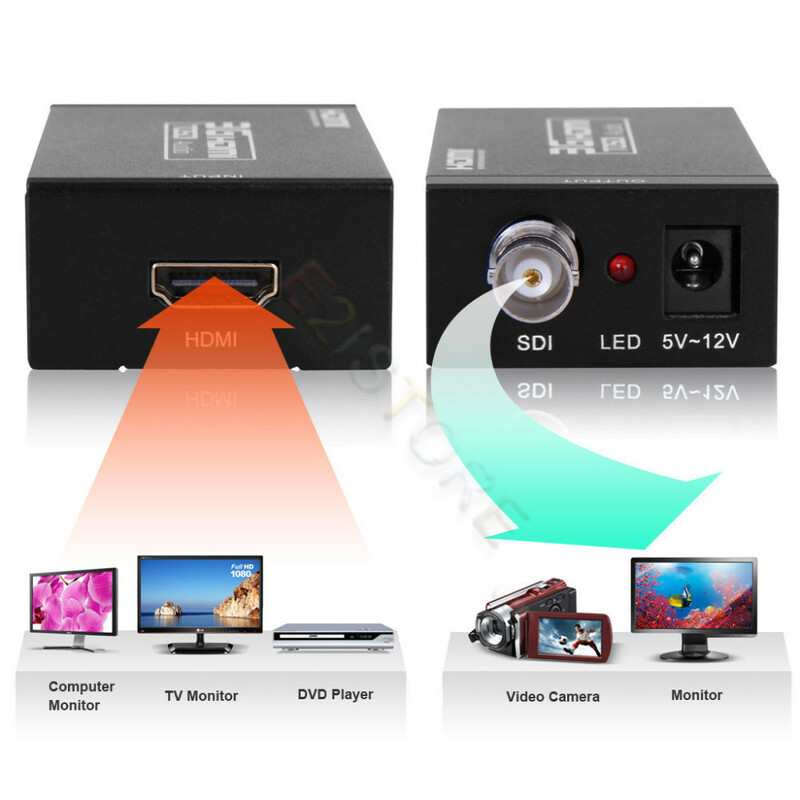 Supports HDMI input timings: 480i 59.94, 576i, 720p 50/59.94/60, 1080i 50/59.94/60, 1080p 23.98/24/25/29.97/30/50/59.94/60. 1)SDI-OUT: This slot is where you connect the SDI display with coaxial cable . 2)POWER LED: This red LED illuminate when the device is connected with power supply. 3)DC IN: Plug the 5V-12V DC power supply into the unit. 4)HDMI IN: This slot is where you connect the HDMI source with HDMI cable.